1. Product performance, including the optical power, receiver sensitivity, bit error, low warning, high warning, transmission distance, working temperature and eye diagram etc. 2. Compatibility. 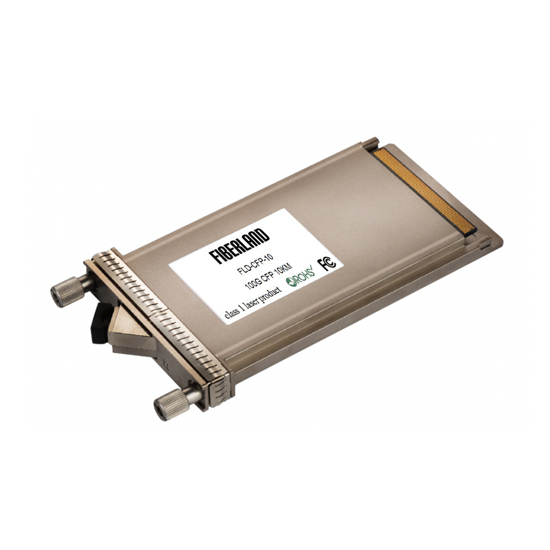 Optical modules usually need to be written in vendor information---compatibility. If the communication is not normal, make sure whether your optical module is compatible with the device. 3. Label. Although the label is small, it exhibit the brand of one company, and contains the basic information of a product. It is an integral part of the product. According to the Logo, Fiberland provides company Logo、customer Logo、neutral label and blank label. 4. Test report. May be some customers will need test reports, according to it to analysis, to provide the basis for correcting the product quality problems. There are many types of patch cords, LC, SC, ST and FC etc., also single mode and multimode. Optical modules use with patch cord, if patch cord is not correct, it will affect the use of optical modules. If communication is not properly, we need to do the following configuration, take H3C 5024P as an example. Now some commonly used switch ports is photoelectric multiplexing, most optical ports were still closed, need us to open the port. End face should be clean, prevent dust from entering. Otherwise, the long-term accumulation of dirt will block the optical port, affecting transmission and stability.